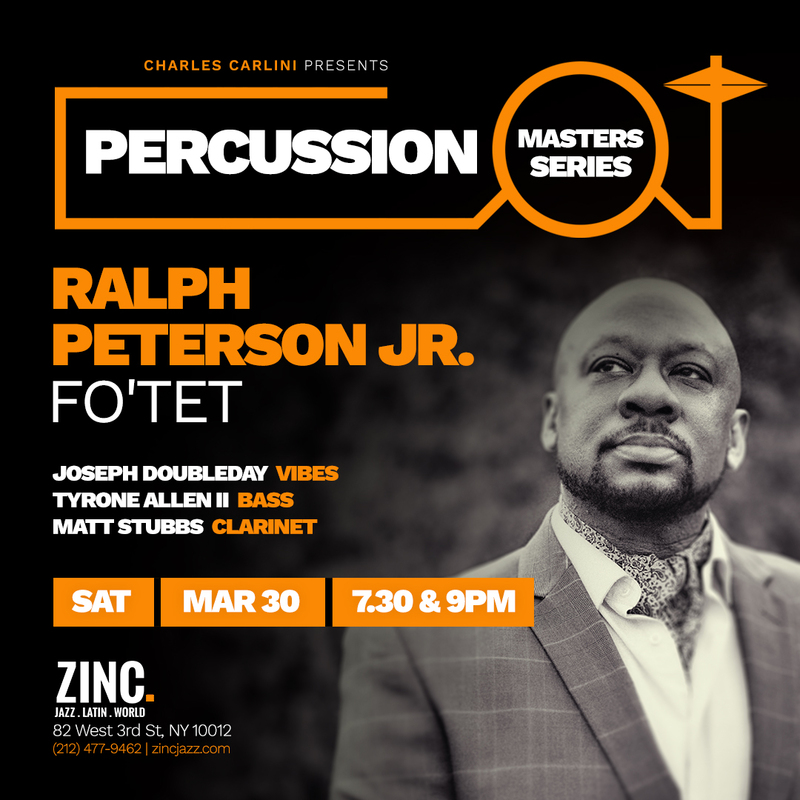 Catch Acclaimed Percussion Master Ralph Peterson Jr. at Zinc this Saturday, March 30. Book your tickets now! Acclaimed master drummer Ralph Peterson Jr. brings his formidable quartet to Zinc on Saturday, March 30. He’s supported by vibraphonist Joseph Doubleday, clarinetist Matt Stubbs, and bassist Tyrone Allen II. Showtimes are at 7:30 pm and 9:00 pm. Tickets: $25 advance / $30 day of show. For more info call (212) 477-9462 or visit http://zincjazz.com. Alternatively, you may purchase tickets directly through Eventbrite at https://intouchent.eventbrite.com. For more exciting shows presented by In Touch Entertainment, click here.